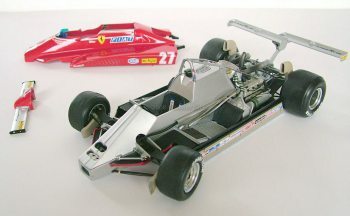 As it seems Tamiya lost interest in 1/20 Formula 1 kits and so I am happy that Fujimi is now stepping into fill this gap. There are several versions available of the 126C2 including one with clear body cover. 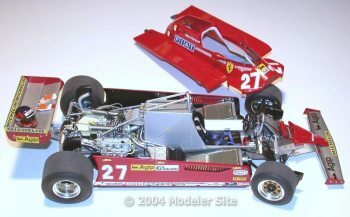 The reason to choose the Long beach version is that it has a unique rear wing configuration arranging 2 smaller wings covering the whole body width. 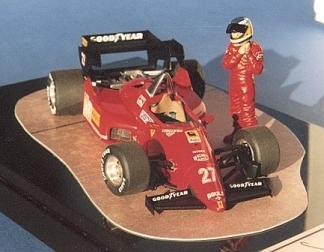 Gilles Villeneuve raced this car to 3rd place in the ’82 Long Beach GP but was disqualified after Ken Tyrrell protested claiming the rear wing configuration illegal.